Thu., 23 Jan. - Sun., 26 Jan. Sat., 27 Apr. - Mon., 29 Apr. Situated in Fairbanks, this lodge is 2.3 mi (3.8 km) from Georgeson Botanical Garden and 2.6 mi (4.2 km) from University of Alaska-Fairbanks. University of Alaska Museum of the North and Pioneer Park are also within 3 mi (5 km). 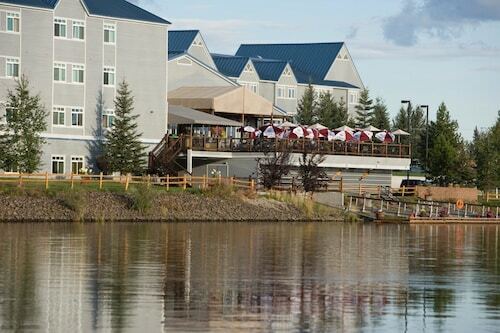 Situated on a river, this apartment building is 1.8 mi (2.9 km) from Georgeson Botanical Garden and 2.7 mi (4.4 km) from University of Alaska-Fairbanks. University of Alaska Museum of the North is 2.8 mi (4.5 km) away. 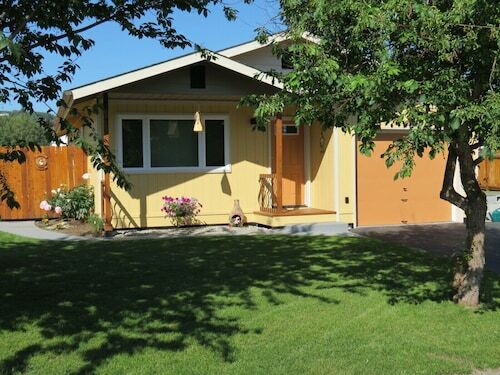 Located in Fairbanks, this family-friendly vacation home is 3 mi (4.9 km) from Georgeson Botanical Garden, and within 6 mi (10 km) of University of Alaska-Fairbanks and Large Animal Research Station. Pioneer Park and Creamer's Field are also within 6 mi (10 km). Situated in Fairbanks, this historic vacation home is within 6 mi (10 km) of Georgeson Botanical Garden, University of Alaska-Fairbanks, and University of Alaska Museum of the North. Large Animal Research Station and Pioneer Air Museum are also within 6 mi (10 km). Question : What is the cheapest date to fly to Fairbanks? Answer : As of Apr 15th, the best day for booking to Fairbanks (FAI) is Apr 24th. Your ticket will cost $370, which is 35% below the average price to book the same route. Question : How much is a plane ticket to Fairbanks (FAI) from Vancouver (YVR)? Prices range from $370 to $1,640. Booking far in advance can usually help you get the cheapest rate. 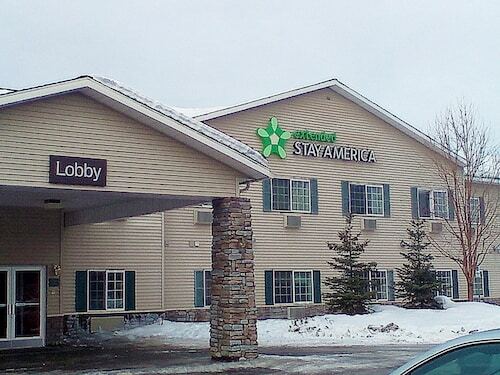 Remember, booking ahead can save you dollars can use to treat yourself while on your trip. And who doesn't like to treat themselves? Answer : Prices range from $370 to $1,640. Booking far in advance can usually help you get the cheapest rate. Remember, booking ahead can save you dollars can use to treat yourself while on your trip. And who doesn't like to treat themselves? 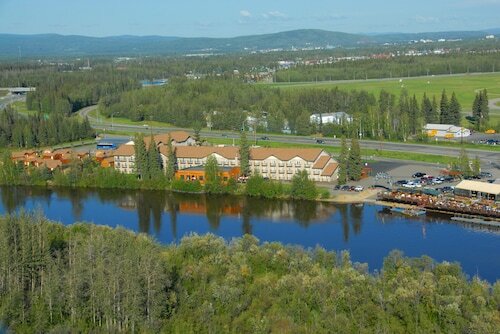 Question : How long do most people stay in Fairbanks on average? Question : What is the cheapest airline flying from Vancouver to Fairbanks? Answer : Delta Air Lines is your best bet for finding that sought-after low fare. They're offering fares as low as $370, while prices for other flights are as high as $1,640. Answer : You sure can switch your departure or arrival date and you may save by changing when you take off. The lowest-cost day to fly in April is Tuesday. Having flexibility in your travel plans means you can save more, so be sure to plan ahead when possible. Answer : The cheapest day to fly from Vancouver to Fairbanks is on Tuesday. So, if you are trying to save some cash on your next holiday look for flights on that day.